I can honestly say I have never been so excited to purchase an eyeshadow palette in my entire life! It has the most gorgeous packaging and is filled with 14 incredible shades, it was honestly as if i'd died and gone to make up heaven. All the shades are warm tones and all go so perfectly together to create more natural or intense eye looks. The pigmentation of every shadow is perfect and they blend so easily. I wore this make up look on a night out and it stayed put the entire night without budging an inch. If theres one palette I could tell everyone to buy it would 100% be this one as I wouldn't change a single thing about it. Trust me girls - you NEED it. I achieved this 'warm glam' look by using my 4 absolute favourite shades - Venetian Red, Love Letter, Burnt Orange and Primavera. I started off by priming my eyelids with Mac's Soft Ochre paint pot and set it in place with just matte eyeshadow. I then took Burnt orange and used it as my transition shade. Onto the fun part - I took Love Letter and ran it through my crease, continuing to blend it with Burnt orange. All over the lid/outer corner/under my eye I took Venetian Red to really make my eyes stand out. Primavera is such a gorgeous highlighting shade - I popped that on my brow bone and inner corners and just added a lil Collection Glitter Liner over the top of the inner corners. 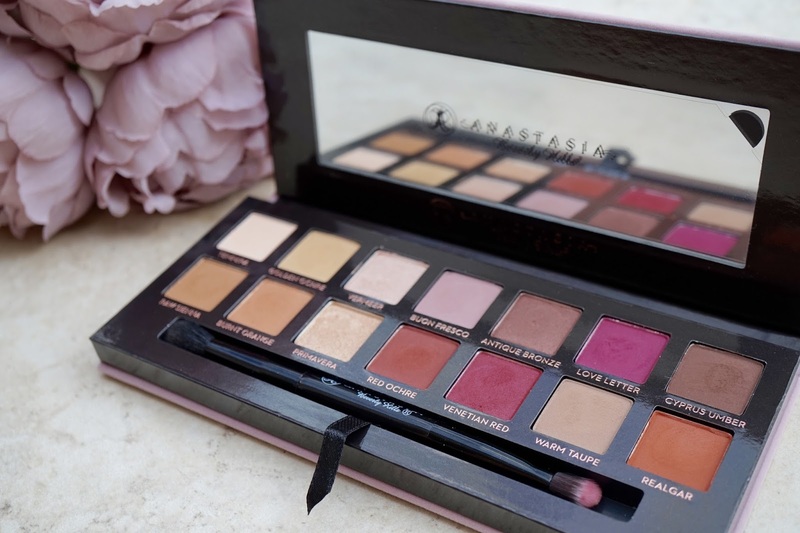 You can get your hands on the Anastasia Beverley Hills Modern Renaissance Palette here.